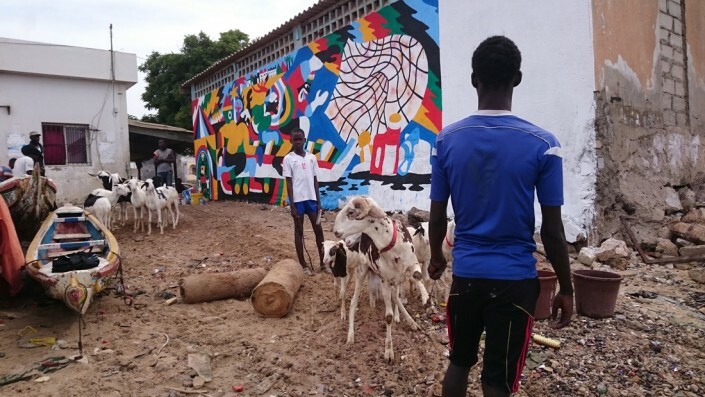 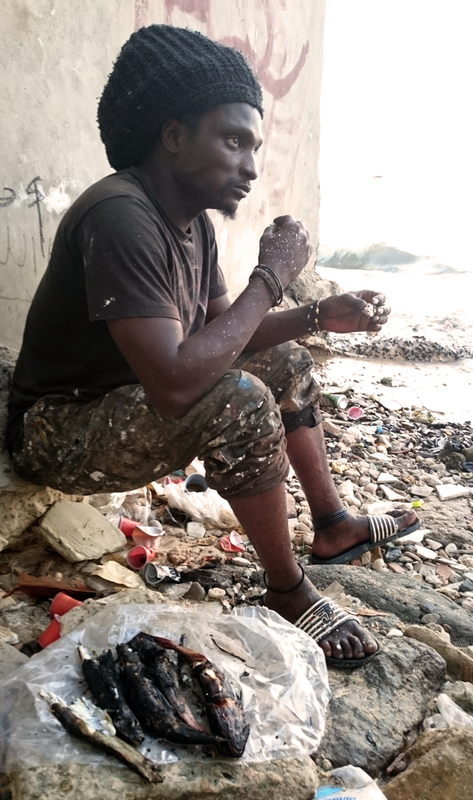 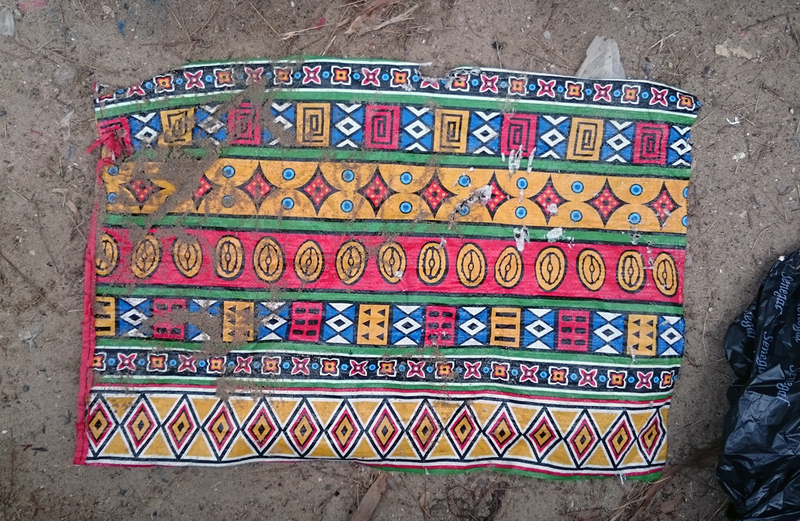 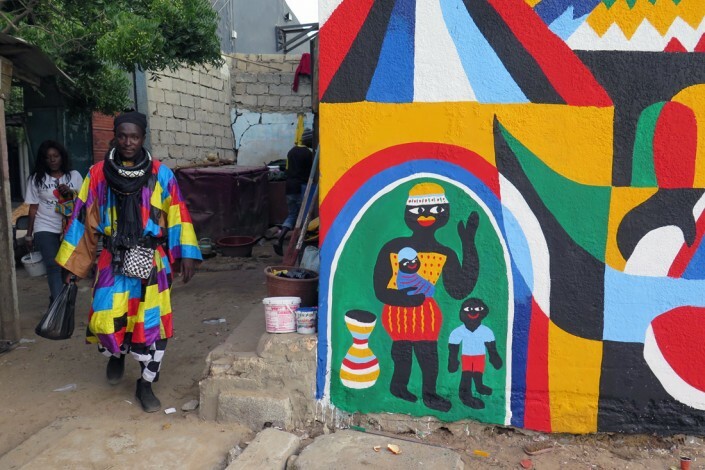 I went back to Dakar with the XEEX (‘fight’ in wolof) organization which aim is to bring color to the picturesque neighborhood of the Medina and sensitize people with environmental problems. 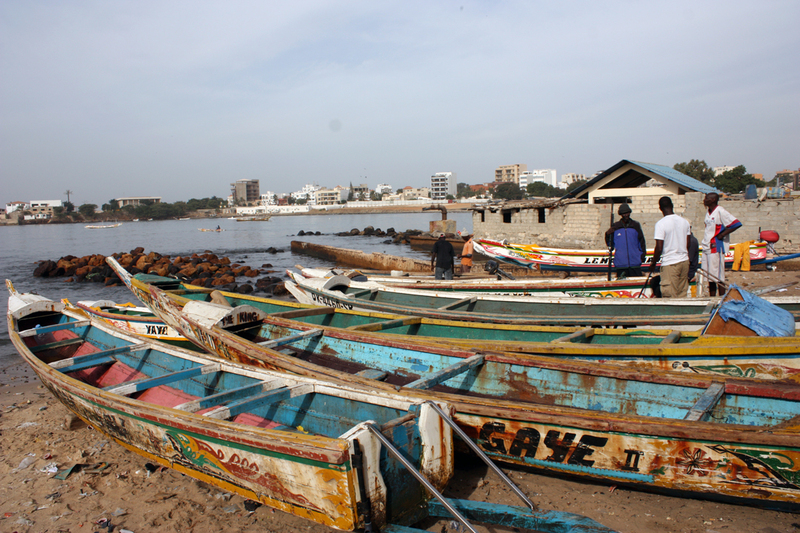 This time, I found this great spot in the harbor close to the soumbedioune market. I was shocked by the amount of garbage on the beach, ht fishermen are totally unfamiliar with pollution problems and I thought I could send them a message through my murals. 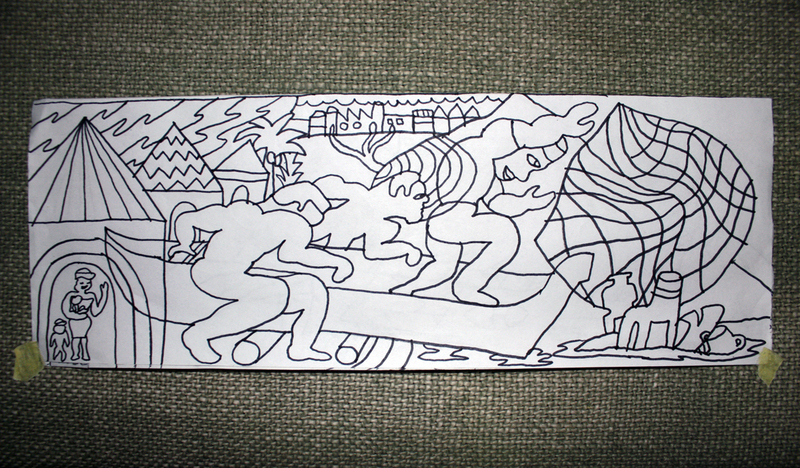 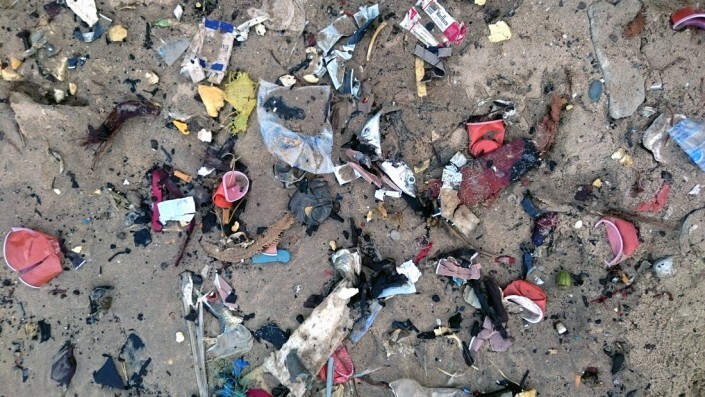 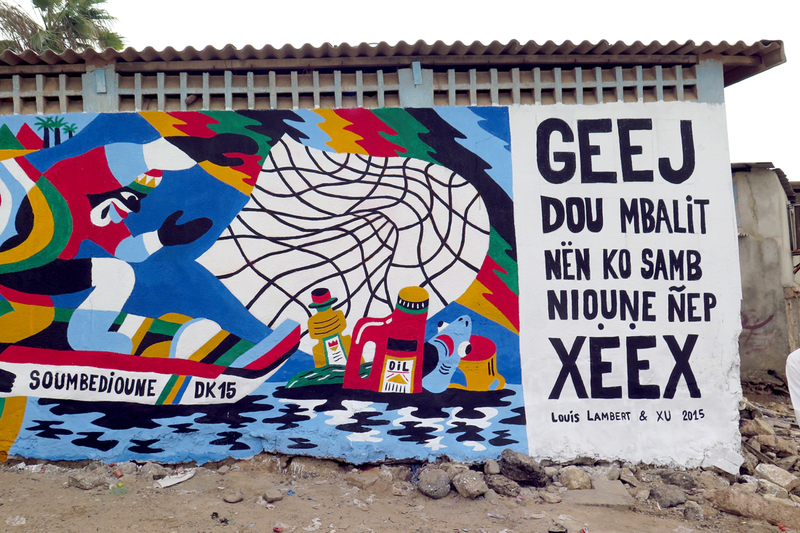 The text on the right says in Wolof: The sea is not a garbage lets keep it clean together. 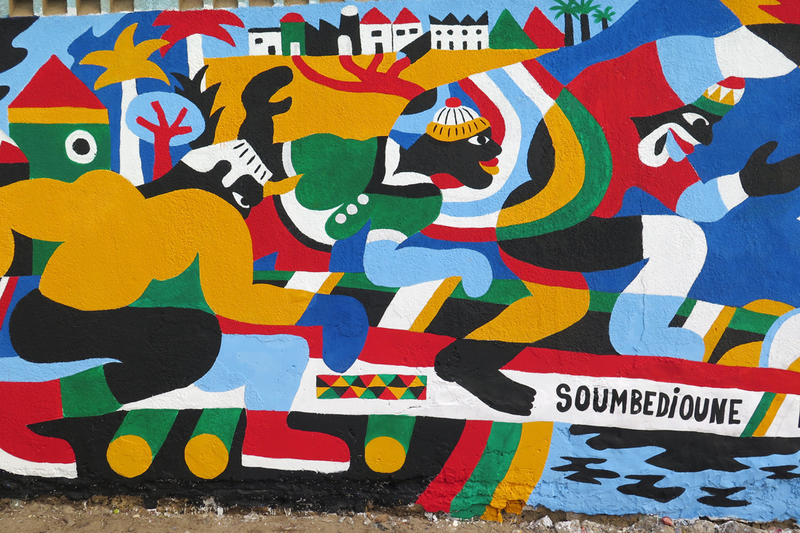 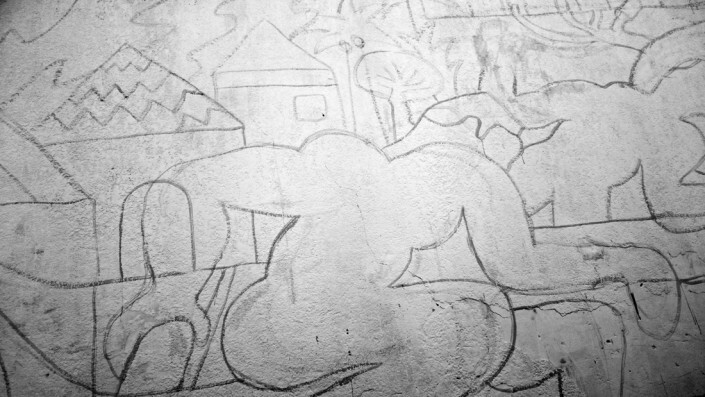 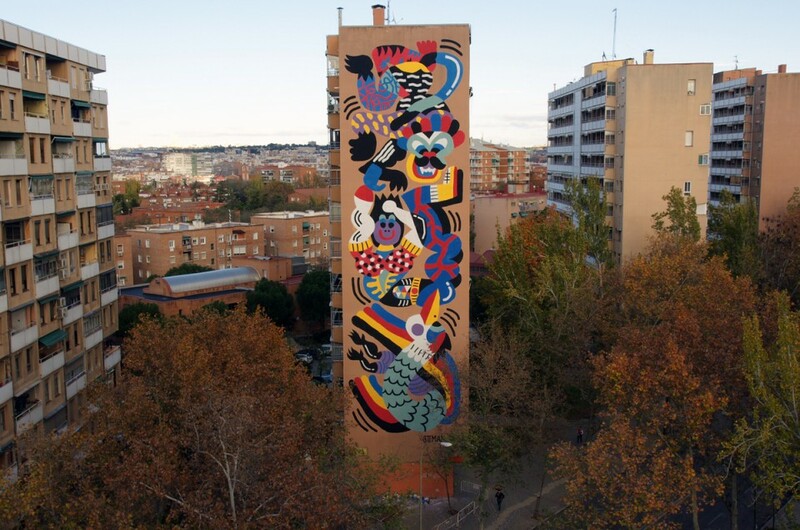 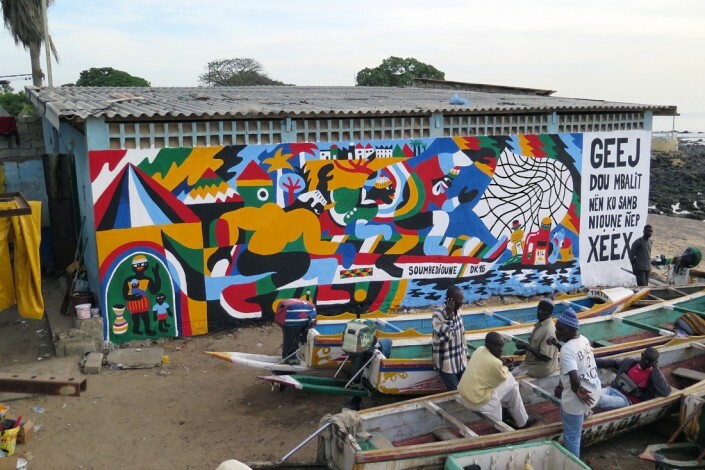 Muralism in Africa is mostly about educating people concerning hygienic problems through strong images and texts. 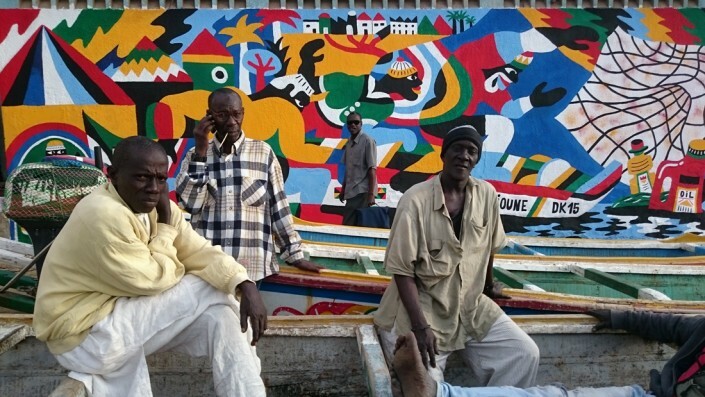 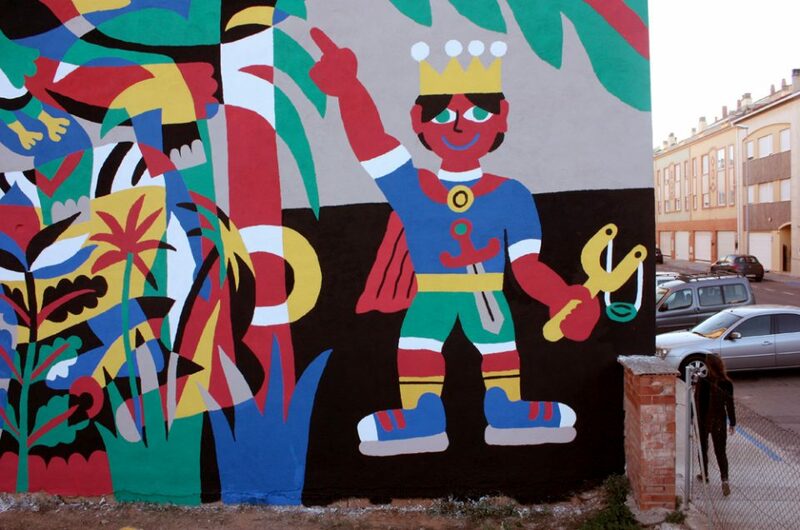 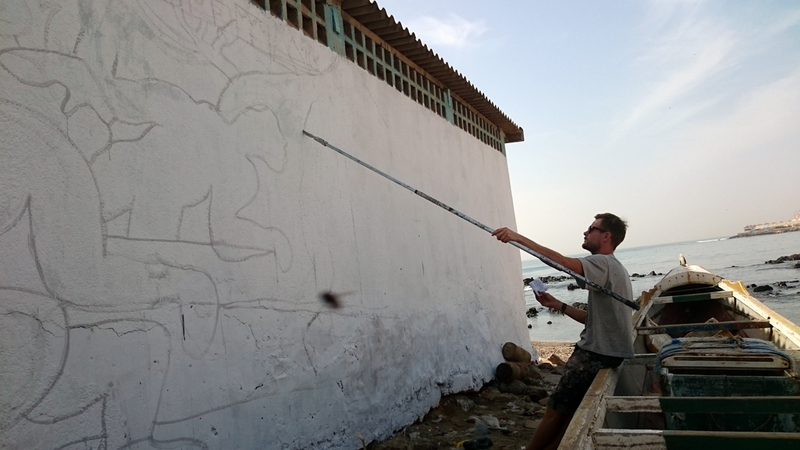 In that way the mural was totally accepted and understood by the locals, one fisherman told me after seeing my wall that “he never thought he would meet a white man with African spirit” which I found very flattering! 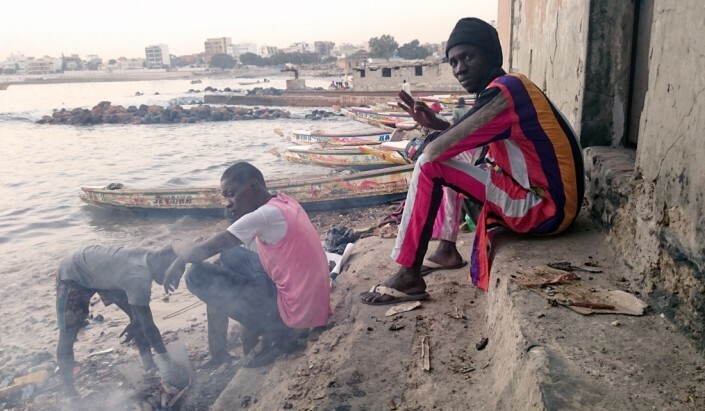 Thanks Senegal for the warm support, the grilled fish, the smiles… And special thanks to Mr Black XU for being my wingman during this adventure.